Each non-smoking cabin and room is named after a nearby mountain pass and has a bathroom with a shower, free WiFi, cable TV, microwave, refrigerator, and an electric kettle for complimentary in-room coffee and tea. New beds and linens provide a restful end to a busy day. There is a sitting area outside each unit. 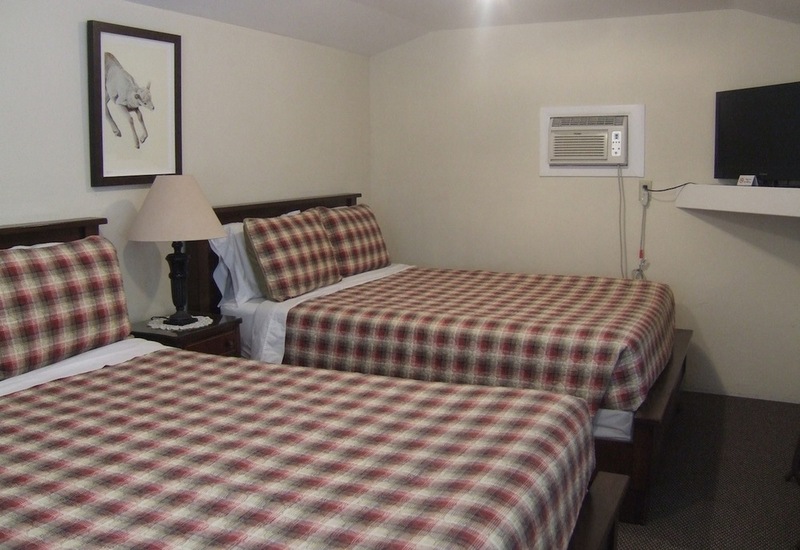 $15 per night for each additional adult and/or child; $15 per each dog. To to reserve a room and guarantee your reservation, click here, or call 760-878-2121 or email us at mtwilliamsonmotel@dhnlh.com. Rates are seasonal and range between $85 -$145 double occupancy, $15 each additional person including children and/or pet and are subject to change, so please check call or email. We require 72 hours advance notice via email to cancel a reservation and receive a full refund. We are open from 8 a.m to 9 p.m. seven days a week. "I highly recommend it to any hiker on the JMT"
"My brother and I stayed here for two nights on our hike of the John Muir Trail. It was a super experience. … The motel caters to backpackers with specialty services like a shuttle to/from the nearby (Onion Valley) trailhead, laundry and food resupply. I highly recommend it to any through hiker passing by on the JMT. Even for non-hikers, the motel offers great accommodations, a friendly, family-like atmosphere and highly competent and efficient staff. I especially liked the motel's breakfast, served at a family-style table and loaded with great conversation and stories about the wilderness! Finally, the scenery in back of the motel is not to be believed. A range of 14,000-foot peaks (highlighted by the eponymous Mount Williamson) sits just a few miles away, extending north-south as far as the eye can see. Paul, 2016My brother and I stayed here for two nights on our hike of the John Muir Trail. It was a super experience.